The 26th EUROCLIO Annual Conference took place from 4 to 7 April. More than 140 history and citizenship educators from 39 different countries met in the beautiful city of Gdansk, Poland. They immersed in the topic Bringing History to Life: making history education meaningful for all students. 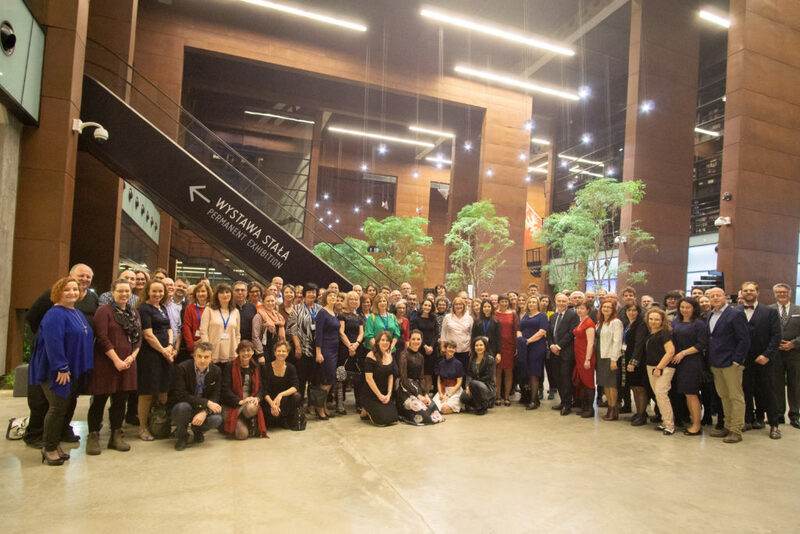 The conference saw the debut of three new programme elements: a critical movie screening, a plenary workshop, and a Historiana feedback session. To dive into the conference theme participants had the opportunity to attend the screening of the documentary film “The Warsaw Uprising” before the official opening of the event. This movie is composed of original footage recorded during the 1944 Uprising, colored in a laboratory and pieced together in a fictional story. Introduced by Dr. Mazur, head of the education department at the Warsaw Uprising Museum, the movie sparked lively discussions on the concepts of history in the making, historical truth, and on the use of movies in the classroom. During the four-day training, participants took part to workshops, discussion tables, panel discussions, school visits, and on-site learning activities, all aiming at exploring the reasons for and the ways to make history meaningful and engaging for students. With a collection of 23 different workshops, visits to 4 different schools, and in-depth discussions on the educational programmes of the European Solidarity Centre and the World War 2 Museum, participants went home with brand new and practical ideas on how to bring history to life in their classroom. The closing day of the conference was characterized by two additional new elements. In the morning, more than 50 attendants took part to the first ever Historiana feedback session. They were introduced to new features in Historiana’s eLearning Environment that are being developed, These “building blocks” will provide more options for teachers who would like to create their own learning resources using Historiana. The feedback collected from participants will directly influence the design, user experience and functionalities of the tools. Finally, Jacek Staniszewski and Richard Kennett delivered the very first plenary workshop in the history of EUROCLIO Annual Conferences. They discussed the theme “Why teaching history is more important than ever before”, and introduced participants to a variety of activities that can be carried out in the classroom to help students understand the complexity of historical figures and events and to encourage them to take a multiperspective view on the Second World War. It has been an intensive conference, characterized by debates and discussions on what makes history learning meaningful. How to react to history in the making? How to help teachers in preparing students to challenge historical interpretations? Moreover, it has been a unique exchange opportunity, in which new friendships were created and networks were strengthened. Over the course of the coming weeks, we will share several in-depth articles highlighting aspects of the programme, for those who could not attend the conference, but of course also for participants who would like to refresh their memory!